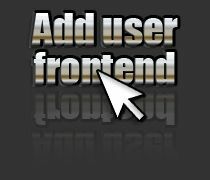 Add User Frontend makes it possible to add users to Joomla from the frontend. It will even allow authors to add users if you set the right permissions. But by default only super users have access. This component is also a good solution when your clients don't know how to add users from the backend. Just install Add User Frontend and you can stop explaining over and over again how to do this. Add User Frontend is very simple and can be used by anybody. But it was originally made for web developers. They can add their own input fields to the "add user form" and add additional SQL queries to insert data in the database. This can come in handy when you want to integrate with other Joomla extensions for example. You need to have basic PHP/HTML knowledge to do so. You can find appropriate documentation on this website. * Buyers will be able to download the component from this website during one year. 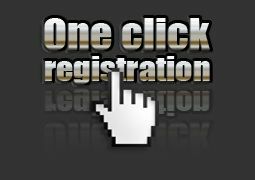 One click registration makes it possible for users to register really fast. Just fill in a name and email address and click the submit button and you're logged in and ready to go! This account will give you access to the latest version of One click registration PRO for a year.